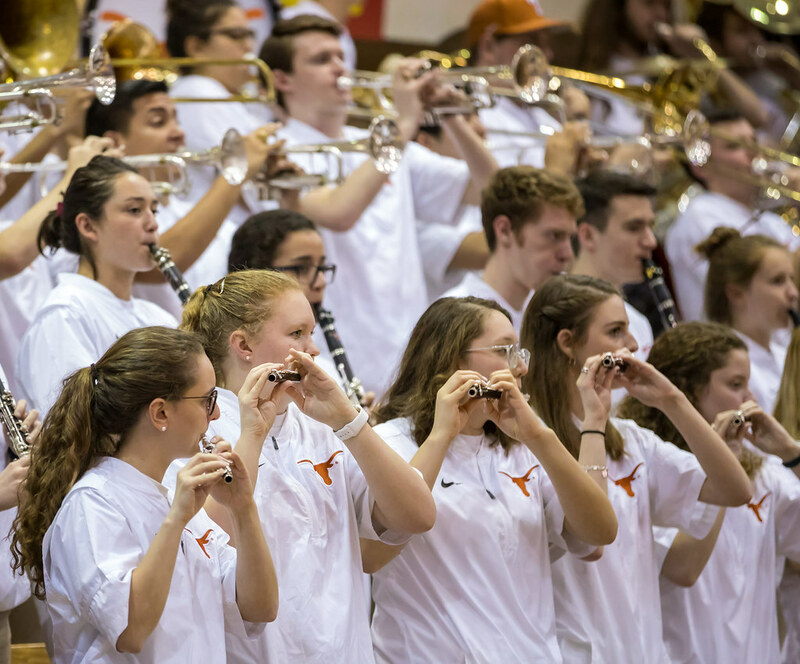 University of Texas Longhorns Pep Band performing during the volleyball match against the Texas Longhorns and Texas A&M Aggies at Gregory Gym in Austin, Texas on April 4, 2018. 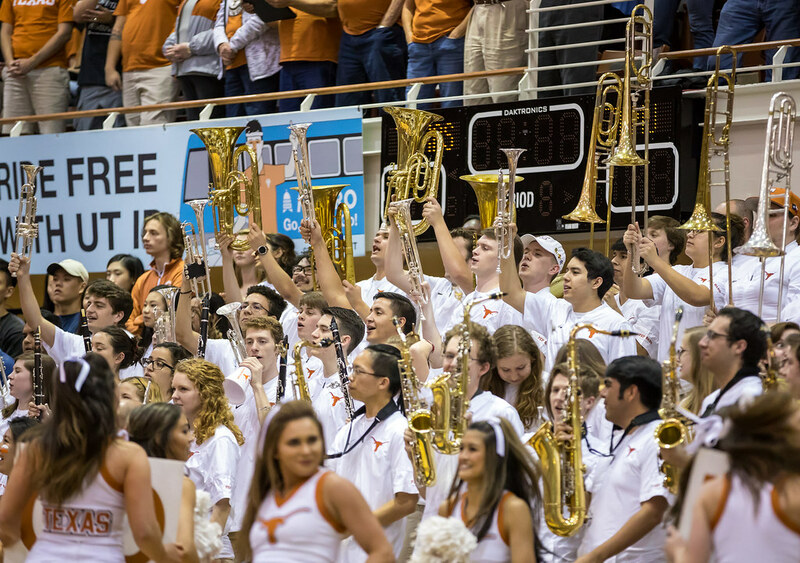 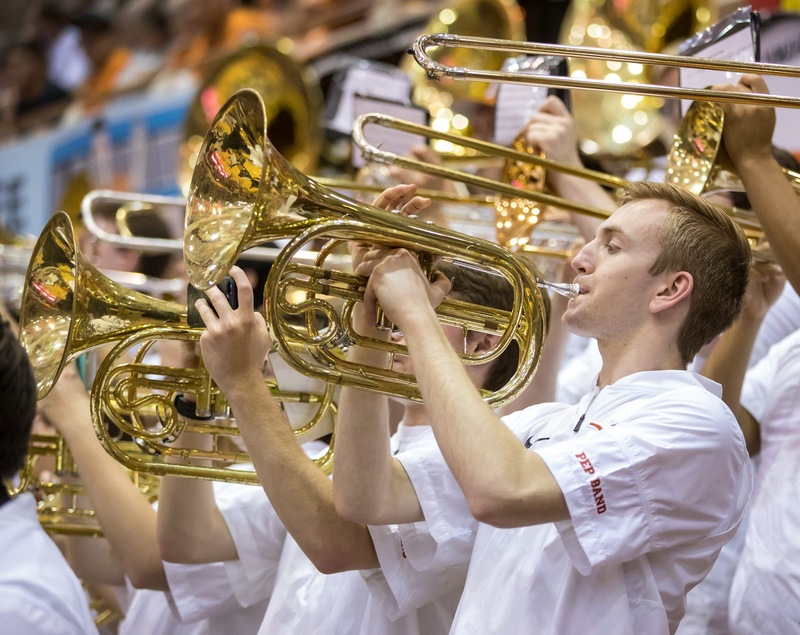 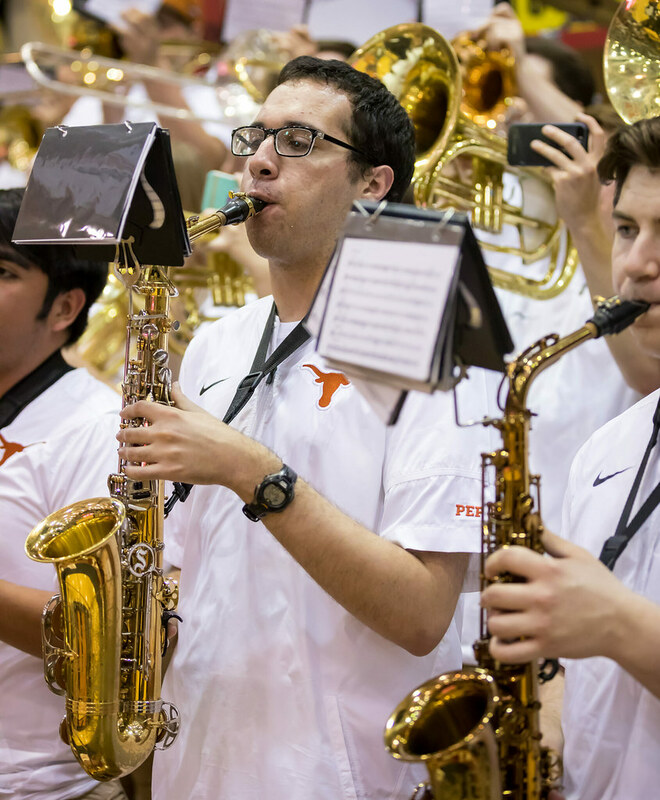 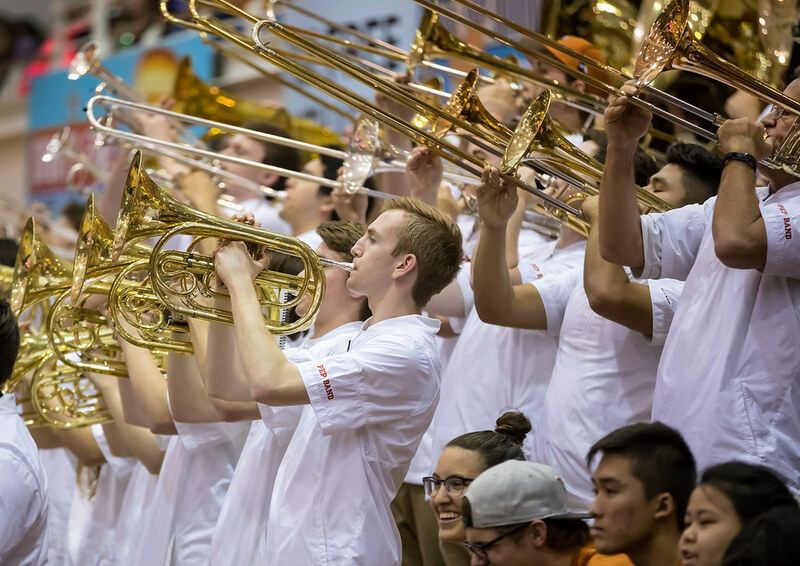 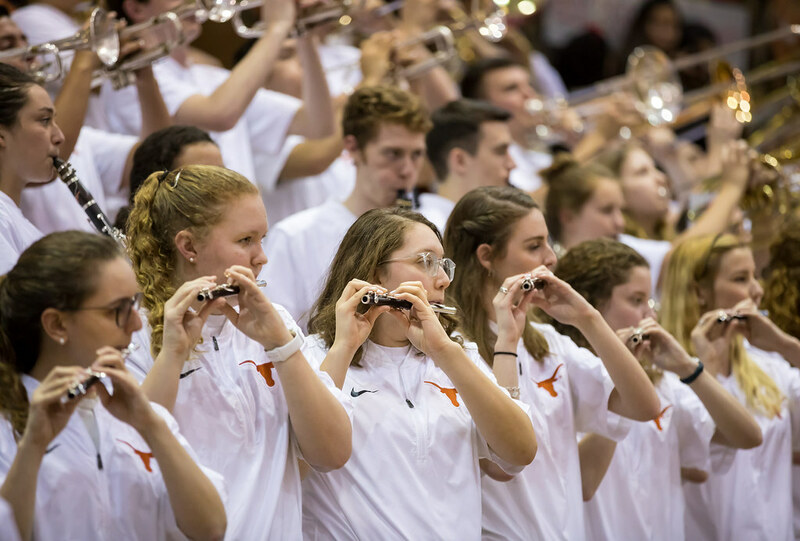 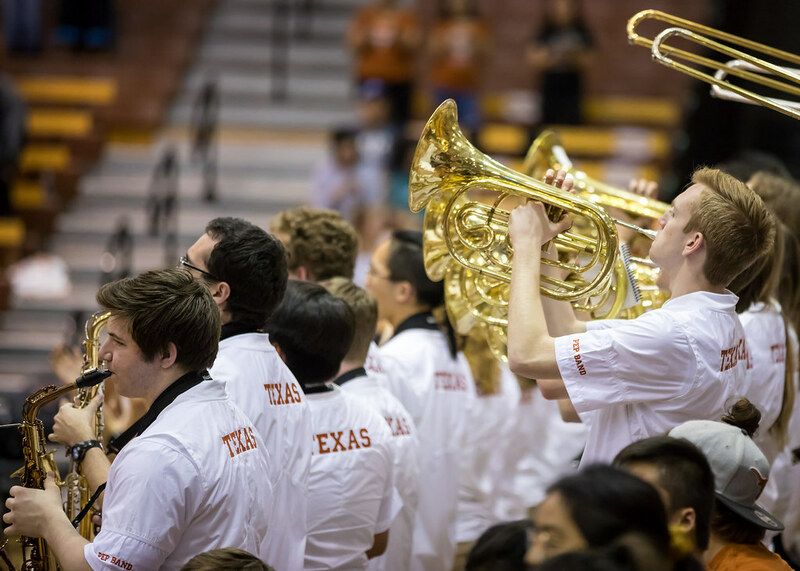 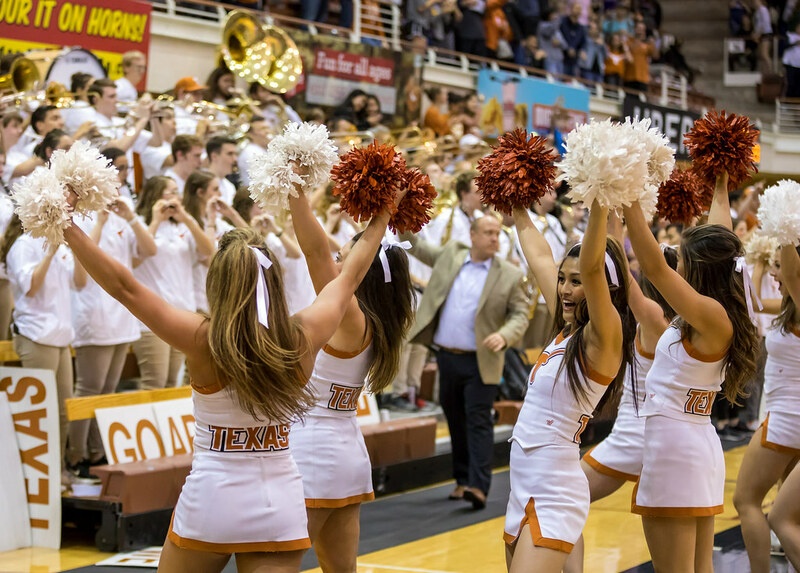 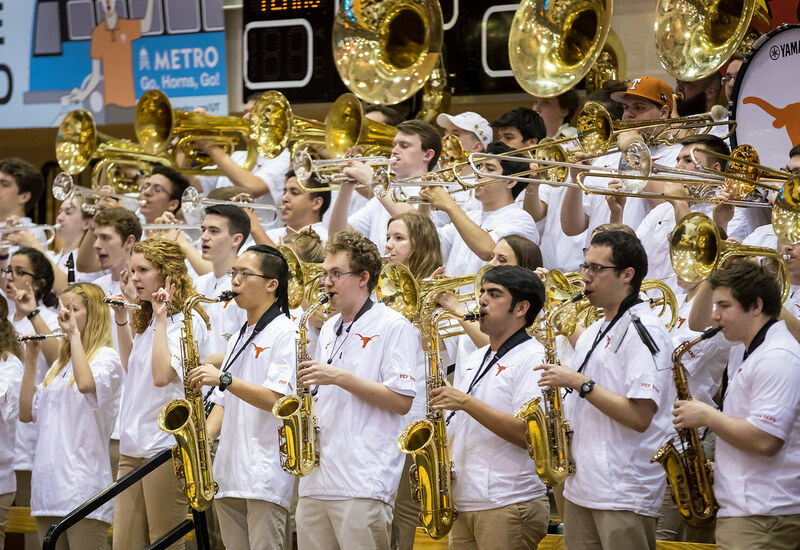 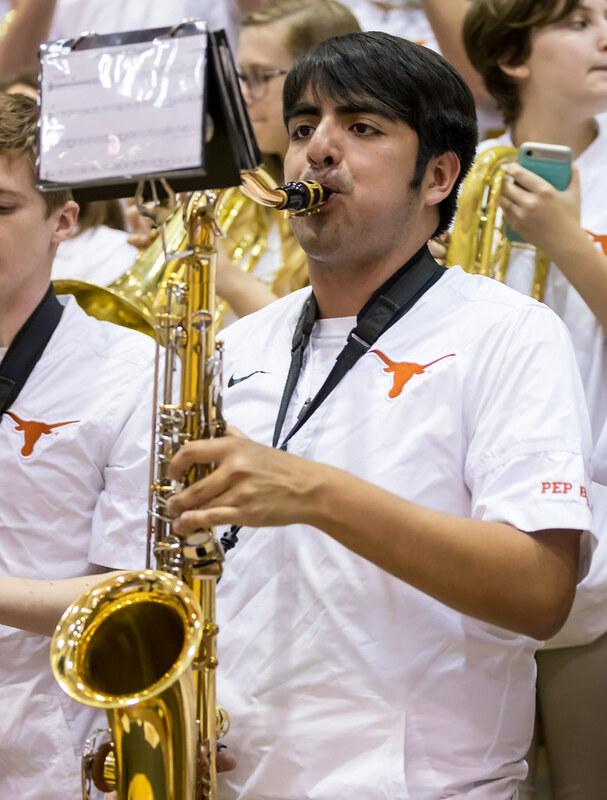 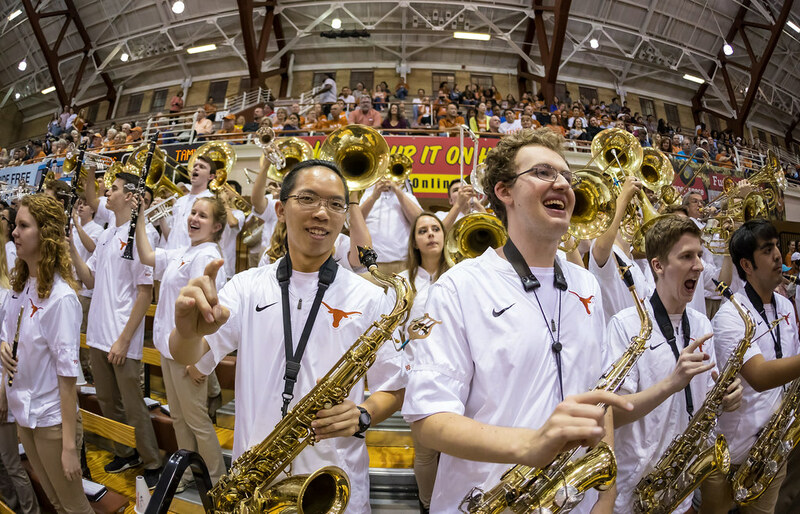 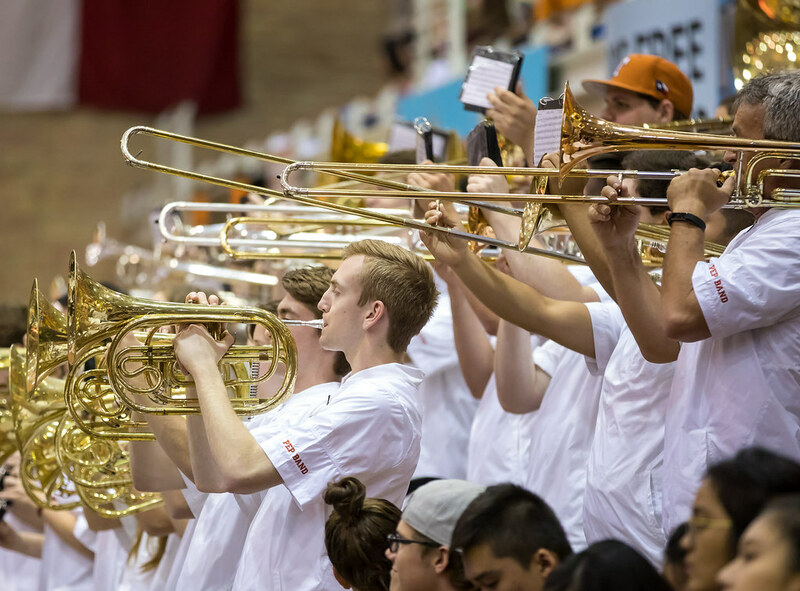 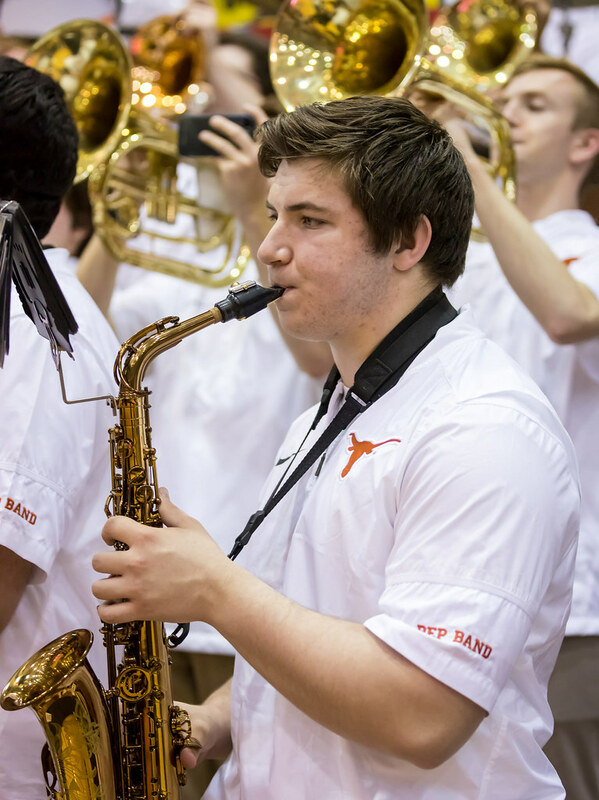 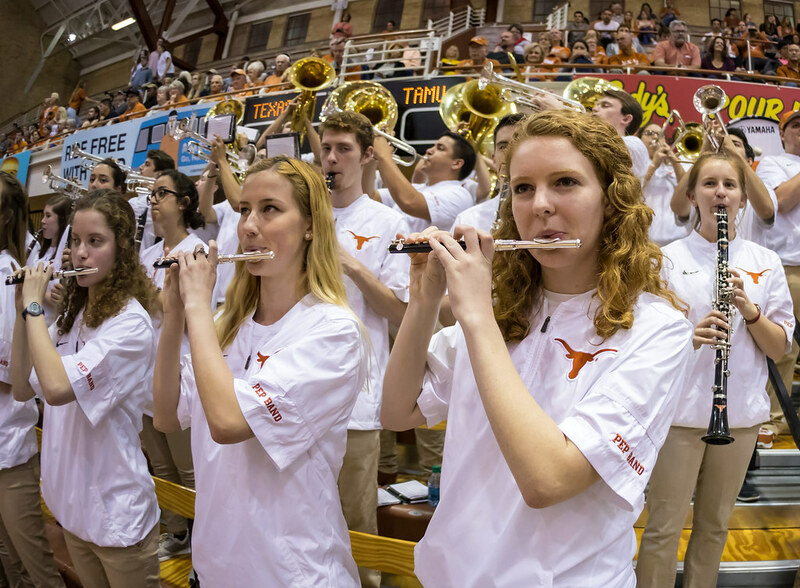 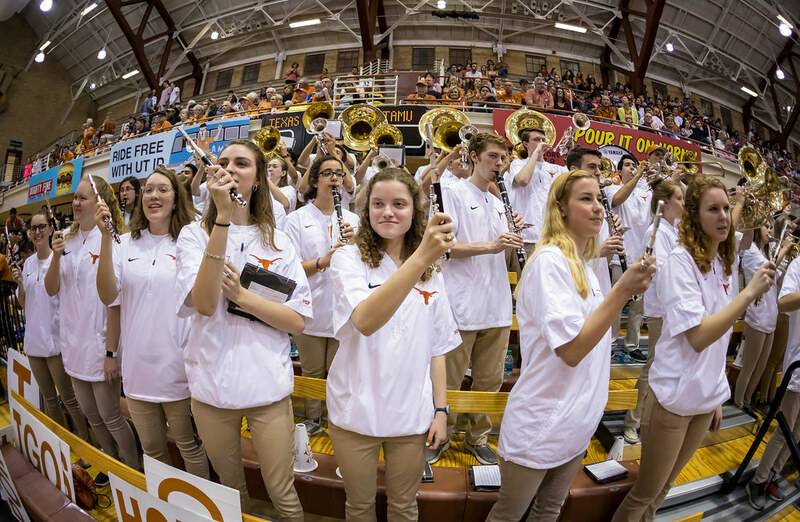 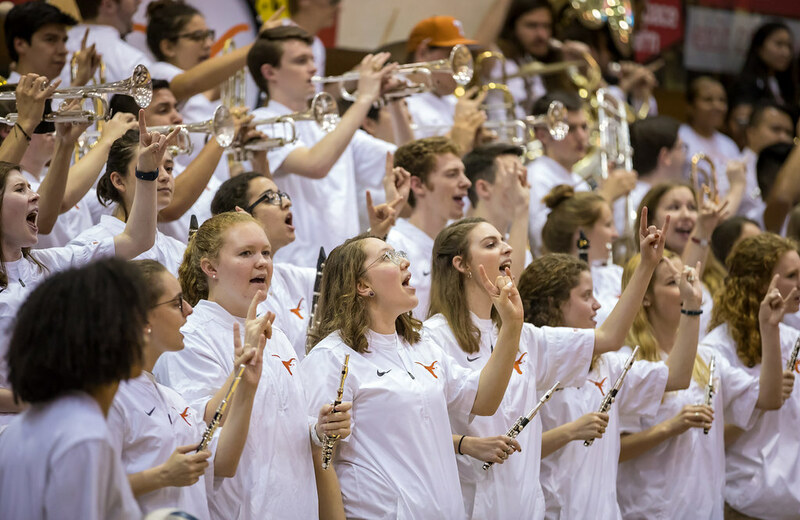 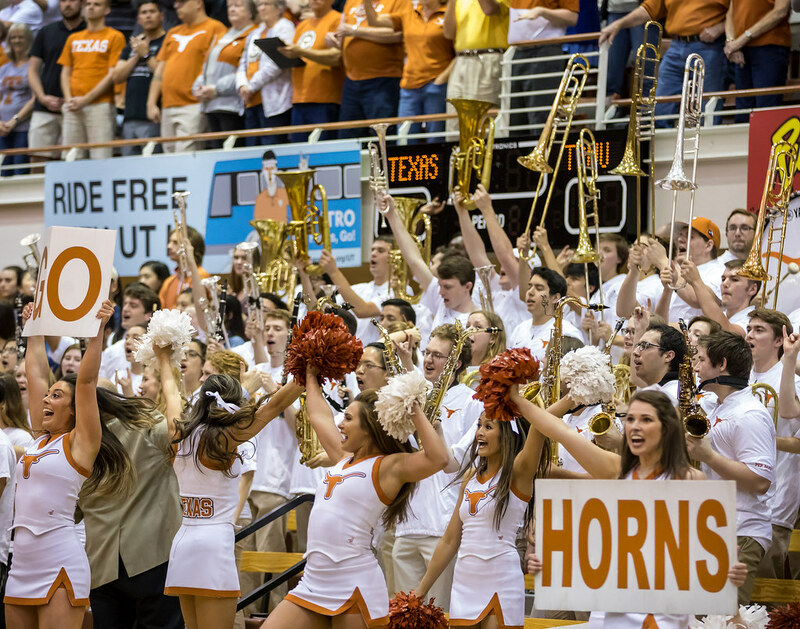 The University of Texas Longhorn Pep Band, directed by Joshua Gall, is comprised of highly energetic and spirited musicians who perform for every Texas Volleyball, Men’s Basketball, and Women’s Basketball home game. 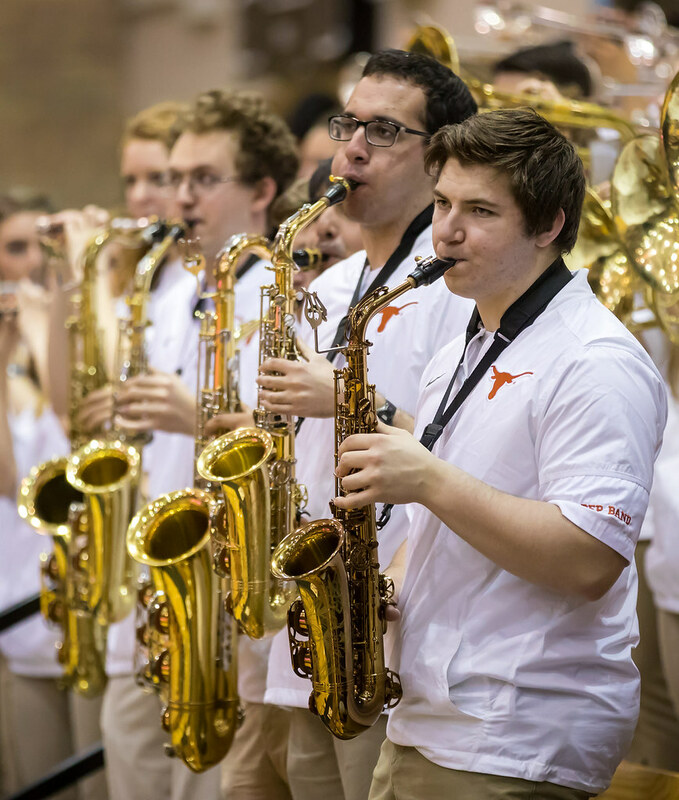 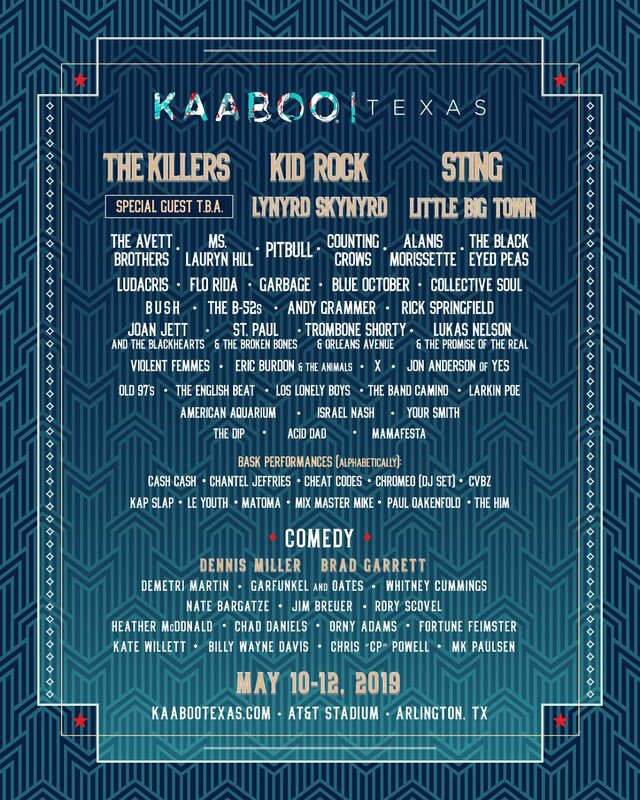 The band plays a wide range of repertoire including rock, jazz, and pop music. 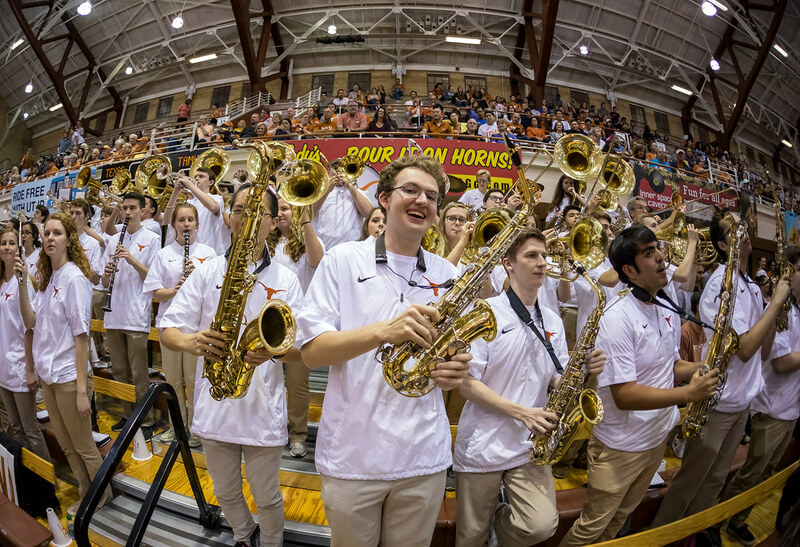 The band travels to represent The University of Texas at Big XII and NCAA Tournament appearances.